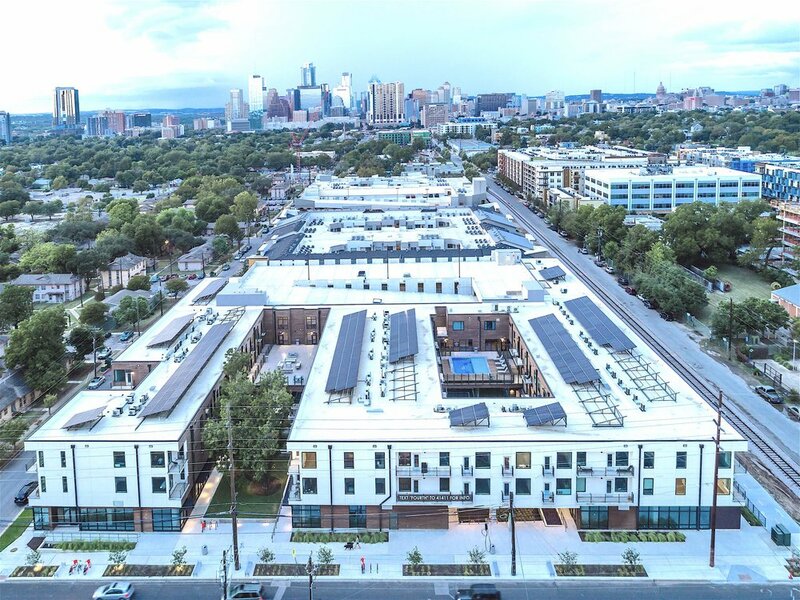 Through significant pre-planning, Capsa Ventures, MadNic Construction and ARCA Specialties created a 5 (out of 5) Star Austin Energy Green Building. This is only the third condo project in the history of the program to achieve this. Fourth& has 102 residential condos and 38,000 feet of commercial space in Austin. With solar panels for every resident, pre-insulated recycled steel panels, a concrete structure, variable speed A/C systems & LED lighting throughout, it is both sustainable & efficient. It offers a “Texas-sized” Micro-loft (512sf) through two-bed options (1,463sf). We also included private guest suites, a pool, clubroom, movie theater and two rain gardens to capture 100% of the rainwater that hits the roof.